Body Movement Exploration which focuses on internal physical perception, sensation and experience. It develops the understanding and knowledge of your body/instruments. Knowing & Understanding own instruments is an essentional tool as a performer and a person. 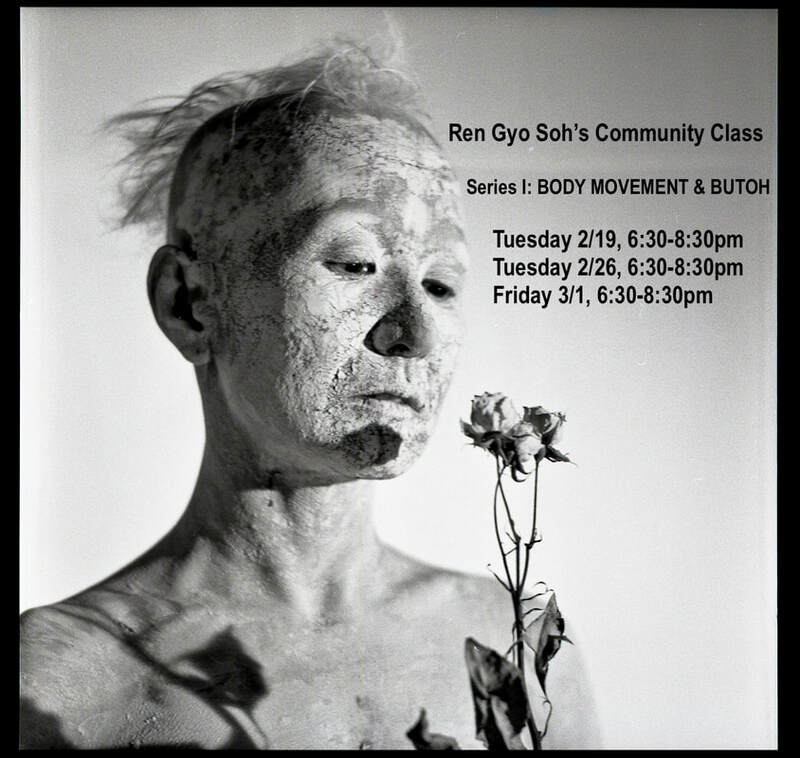 We will do variety of Body Movement Work (Pure Movement, Laban Movement Analysis, Noguchi Gymnastic, Improvisation, Basic Lucoq, Therapeutic Essential Yoga), and apply into Butoh Dance. "Butoh is a sensation; not a presentation"
Yokko is an actor, a Butoh & Theatre Artist, Movement & Physical Theatre educator. Yoga Instructor & Jikiden Reiki master from Japan. She has been regularly teaching weekly classes, and holding workshops in several places include NYC, Turin (Italy), Edinburgh (UK), Warsaw (Poland), Izmir (Turkey), St. Lawrence University (NY), SUNY New Paltz (NY), Amherst College(MA), and at some events such as Ecstatic Dance.